Ready, set, collaborate... Modernize your workspaces and improve productivity. BlueJeans Rooms with Dolby Conference Phone is a streamlined solution that’s easy to use and manage, provides breakthrough audio clarity, and seamlessly connects to BlueJeans video meetings. 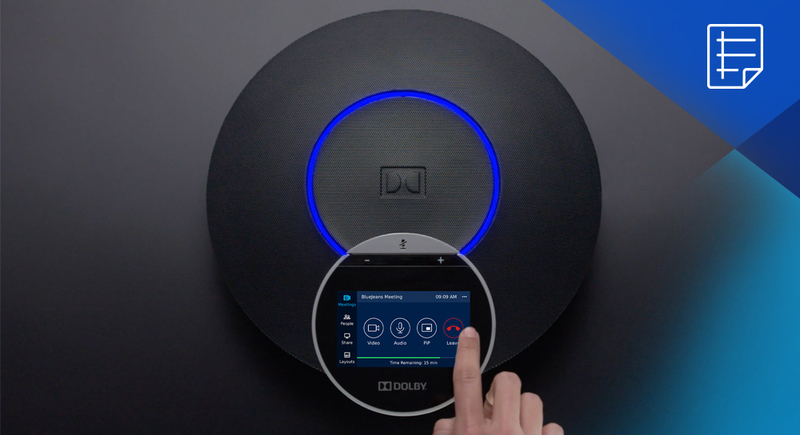 Learn how the Dolby Conference Phone can deliver an outstanding experience for your conference rooms.